Do you know where to find a sled? The last secret Battle Star of Fortnite: Battle Royale’s season seven can be unlocked starting today. All players who complete nine full weeks of Battle Pass challenges will be able to see the new secret Battle Star. It became unlockable when the week nine challenges were revealed this Thursday, along with the ninth loading screen of the season. Grabbing the Battle Star will grant the player 10 Battle Stars, which is a full Battle Pass tier. Players can only unlock the week nine loading screen and the secret Battle Star if they own the paid Battle Pass, since it’s impossible to complete all seven challenges every week with the free pass. If you’ve completed nine full sets, you’ll unlock the loading screen below. It has a hint to where this week’s Battle Star will be hidden in the Fortnite island. 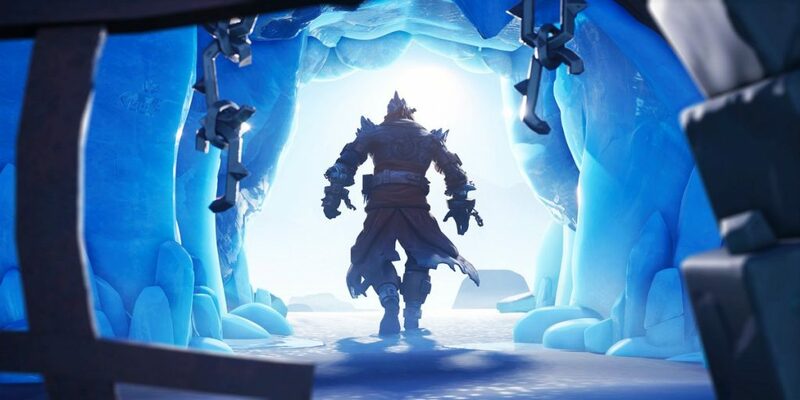 It shows the brand-new Snowfall skin, The Prisoner, leaving an ice cave after freeing himself from the chains that imprisoned him under the Ice Castle in Polar Peak. 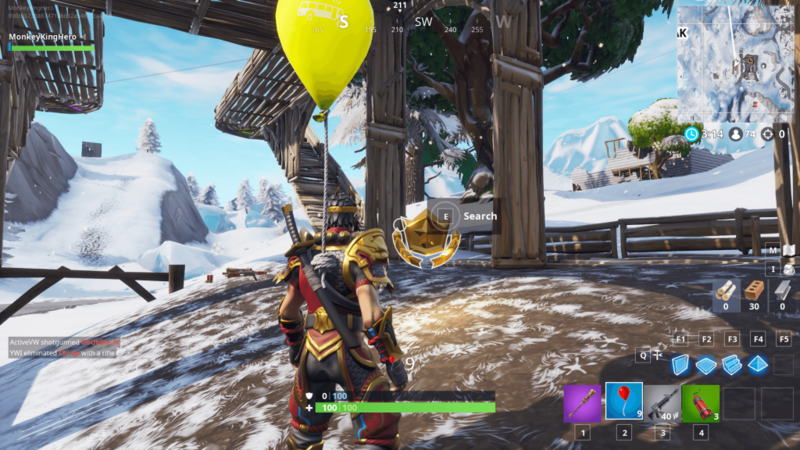 The wall to the left shows a shape that looks a lot like a sled, and there’s a Battle Star floating over it. That means players have to find a sled in the island, and the star should be over it. Loading screen hints are never too difficult to understand. If it’s just the shape of a sled, the Battle Star should be on a huge structure that looks like a sled, instead of a real, small sled that could be anywhere on the map. 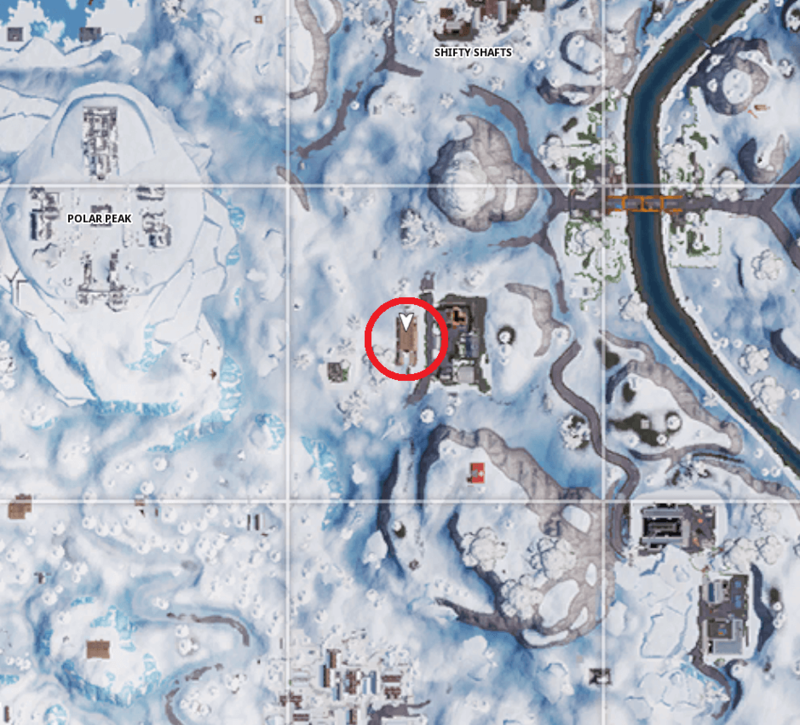 The only giant sled in the Fortnite island is the one south of Risky Reels and southeast of Polar Peak, in an unnamed location with a few houses and a gas station. 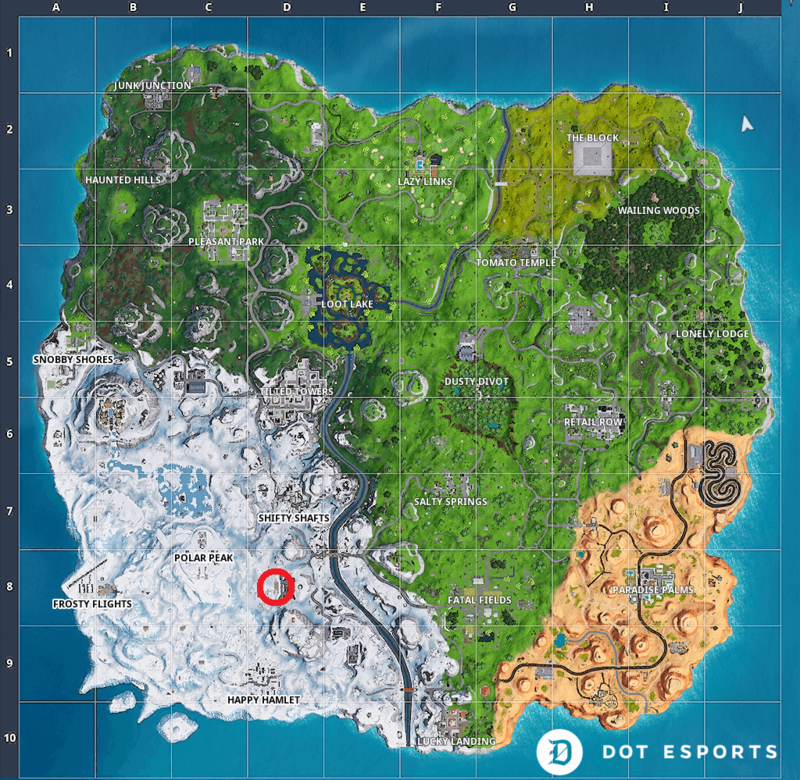 That’s where players might find the secret Battle Star. Even though the image in the loading screen shows a Battle Star floating over the sled, it’s actually under it. Go there, interact with the Battle Star and grab this easy Battle Pass tier. Own the season seven paid Battle Pass. Have completed nine full weeks of weekly challenges. 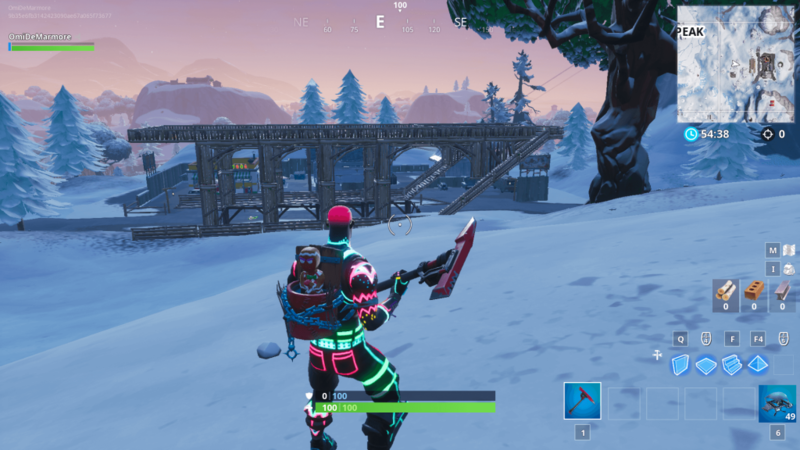 Be playing standard modes (Solo, Duos, Squads) or Limited Time Modes, not Playground.